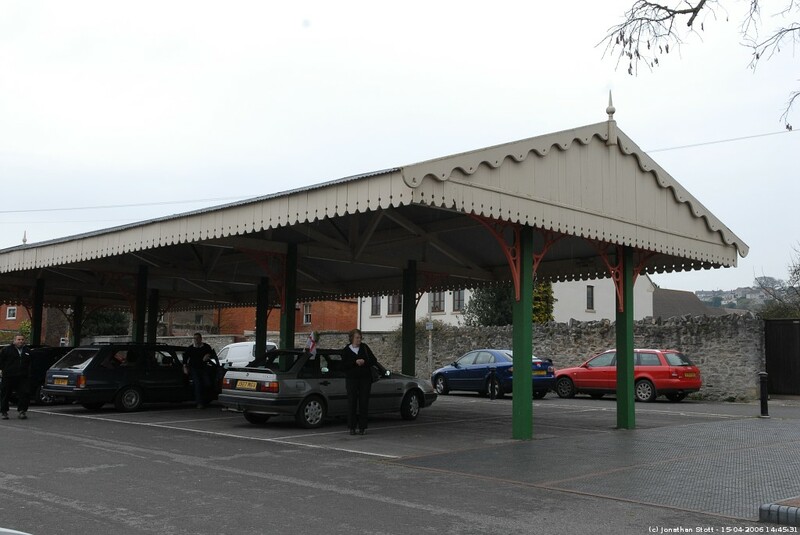 The canopy used to stand on the goods platform at Glastonbury railway station. The station was part of the Somerset and Dorset line. A regular service between Glastonbury and Highbridge started in 1854. In 1862 the line was extended through Burnham, Cole and Wells. A further extension in 1874 brought the line to Bath. The line was closed in 1962 as part of the reorganisation of the railways by Dr. Beeching. The canopy was moved to its current location in 1984. The area is used for the town market.